In his Institutes, the Roman jurist Gaius wrote: “all of the law which we use concerns either persons or things or actions.” With the occasional modification, this is the way in which both the common law and civil law still divide the world—the fundamental classification is between person and thing. I visualize this divide as a thick legal wall. On one side are things. Their value is, instrumental. They are slaves to persons and lack the capacity for legal rights. On the other side are persons. Their value is inherent and they have the capacity for an infinite number of rights. Persons are the masters of things. Today all nonhuman animals are things, and all humans are persons. But “person” is not now, and never has been, synonymous with “human”. For centuries, vast numbers of humans—slaves, women, children—were legal things for some or all purposes. Much of the centuries’ civil rights struggles have been focused on breaking through that barrier, to move these humans from the darkness of “thinghood” into the light of personhood. On the other hand, corporations, states, and ships are among numerous entities often recognized as “persons”. In pre-Independence India, courts held that a Hindu idol and mosques were persons. In 2000, the Indian Supreme Court declared that the holy books of the Sikh religion were a legal person. In addition, the parties to a 2012 treaty between the Crown and the indigenous peoples of New Zealand agreed that the Whanganui River Iwi is a person that owns its own riverbed. The first task of the Nonhuman Rights Project (NhRP) is to persuade courts and legislatures that a nonhuman animal can be a legal person, an argument we base on human rights law. We modelled our initial litigation, in part, on the famous 1772 London case of Somerset v. Steuart. Kidnapped from West Africa as a child, sold in Virginia to Charles Steuart and brought to London, James Somerset escaped in the fall of 1771 but was soon ferreted-out by professional slave-catchers. Somerset’s godparents demanded that Lord Mansfield, Chief Justice of the Court of King’s Bench and the most powerful judge in England, issue a common law writ of habeas corpus on Somerset’s behalf. "Chimpanzees are cognitively-complex, autonomous, and self-determining beings who can freely choose how to live rich lives." If Mansfield had concluded that Somerset could not possibly be a person, he would have refused to issue the Great Writ, as only “persons” were eligible for it. But he assumed, without deciding, that Somerset could be a legal person, issued the writ, and ordered the ship’s captain, John Knowles, to bring Somerset before the court and give a legally sufficient reason for detaining Somerset against his will. Eventually Mansfield ruled that slavery was so “odious” the common law would not support it. That instant Somerset underwent a legal transubstantiation: the person who walked out of the Court of King’s Bench looked exactly like the thing that had walked in. But as far as the law was concerned, the person and thing, had nothing in common. Somerset became a map for one important path to personhood. While judges and legislators often draw lines that include some and exclude others without violating equality, a discriminatory law must at least rationally further a legitimate end. The Nonhuman Rights Project worked to develop powerful arguments that harmonized with fundamental human rights values. It settled on “liberty” and “equality”. Fundamental liberty rights are immunity-rights that protect fundamental interests and are well-known to human rights lawyers. Among the most important liberty rights is the bodily integrity that protects the “autonomy” and “self-determination” that are defended by the Great Writ. One may have an equality right when one is like another who already has that right in a relevant way. While judges and legislators often draw lines that include some and exclude others without violating equality, a discriminatory law must at least rationally further a legitimate end. The NhRP argues that law crafted for the purpose of enslaving autonomous and self-determining beings has an illegitimate end. As our first petitioners, we chose four captive chimpanzees, including Tommy and Kiko, who were being privately held in solitary confinement, and Hercules and Leo, who were being exploited for biomedical research. The scientific evidence that chimpanzees are autonomous and self-determining beings is powerful. In over one hundred pages of affidavits that the NhRP presented in their cases, nine respected chimpanzee researchers from around the world stated that chimpanzees are self-conscious and able to reflect upon their thoughts and the minds of others. They know they are individuals who exist through time. They engage in mental time travel and can remember the past and anticipate a future that is better or worse for them. Imprisoned chimpanzees, especially those in solitary confinement, as are Tommy and Kiko, suffer the way a human imprisoned in solitary confinement does; they can recall their imprisonment and imagine a life of never-ending torment, but do not know why they are there. Chimpanzees also have moral agency and ostracize chimpanzees who violate social norms. When playing human economic games they spontaneously make fair offers, even when not required to do so. They engage in referential and intentional communication in which they adjust their communication to the attentional state of the one with whom they are communicating. Some call this language. Chimpanzees understand numbers, can count, and make simple mathematical computations. They have material, social, and symbolic culture. Scientists in the Tai Forest of the Ivory Coast located the stone hammers with which chimpanzees cracked hard nuts 4300 years ago and passed through the last 225 chimpanzee generations. In short, chimpanzees are cognitively-complex, autonomous, and self-determining beings who can freely choose how to live rich lives. 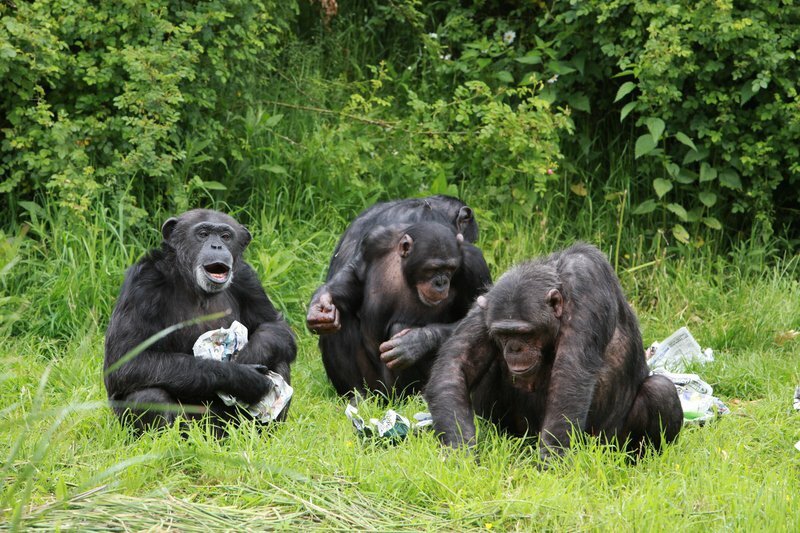 In early December 2013, the NhRP filed three lawsuits on behalf of the four chimpanzees. We demanded that the New York trial courts issue them writs of habeas corpus. They refused. In the initial appeals, the intermediate appellate courts were unable to imagine a legal box other than a traditional animal welfare “thinghood” box for Tommy and the other chimpanzee plaintiffs, even after we explained to them that welfare is not the purpose of a petition for habeas corpus. The purpose is bodily liberty, freedom – and we were demanding their freedom. They have yet to realize that the arbitrary denial of fundamental personhood to cognitively-complex, autonomous, and self-determining beings, simply because they are not humans undermines any rational, non-arbitrary basis for human rights as well. The NhRP has asked the New York Court of Appeals for permission to appeal. But there is reason to hope. In a separate case, on 20 April, involving the re-filing of a petition on behalf of two other chimpanzees, Hercules and Leo, the New York County Supreme Court in Manhattan, issued an order to show cause pursuant to the New York Habeas Corpus Statute to the State University of New York (which is responsible for their detention). A full hearing on the 27th of May will determine whether they are to be released. The ruling was the first time such a order to show cause and hearing was granted for a nonhuman animal. Whatever the outcome of the hearing in May, it means that although chimpanzees, like yesterday’s slaves, remain “things” incapable of possessing rights, a future as “persons” is rapidly approaching.